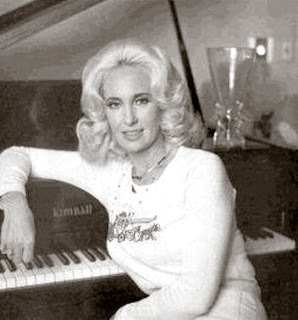 In the late 1960s, such hits as “Stand by Your Man” and “D-I-V-O-R-C-E” earned Tammy Wynette the title “First Lady of Country Music.”On May 5, 1942, she was born Virginia Wynette Pugh in Itawamba County, Mississippi. When she was only nine months old, she experienced the first of many personal tragedies, the death of her father from a brain tumor. Five years later, Virginia’s mother remarried. Because of tensions between Virginia and her stepfather, she spent much of her youth on her grandparents’ farm, where she was often called upon to pick cotton. Exhausted by farm work, she was determined “to get away as fast as I could,” as Wynette later remembered. Just months shy of her high school graduation, she dropped out to marry Euple Byrd in 1959. For five years, they struggled to make ends meet while living in a shack with no electricity. When the couple separated in 1964, Virginia Pugh was pregnant with her third daughter. Soon after birth, the baby contracted spinal meningitis, leaving Pugh with $6,000 in medical bills. Desperate to earn a decent living, Pugh moved to Birmingham, Alabama, where she worked as a beautician. At the same time, she harbored a grander ambition—to become a country singer. Pugh’s first step was winning a regular spot on The Country Boy Eddie Show, a local television program. With the host’s encouragement, Pugh moved her family to Nashville, Tennessee, to further her career. Pugh went door to door, visiting every record company lining the city’s Music Row, but no one seemed impressed by her. After a battery of rejections, she met Billy Sherrill at Epic Records. The oung producer had been looking for a female soloist, then an oddity in country music. Sherrill signed Pugh to Epic and christened her “Tammy Wynette,” taking her first name from the popular film Tammy (1965) starring Debbie Reynolds. In 1966, Wynette’s recording of the Johnny Paycheck song “Apartment No. 9” became her first hit. It was followed by a string of successful singles, including “D-I-V-O-R-C-E” and “I Don’t Want to Play House,” for which she won a Grammy Award in 1967. She received her second Grammy two years later for “Stand by Your Man,” which, sold more than 6 million copies and became her signature song. The song drew criticism from feminists, who interpreted its lyrics as encouraging women to accept any type of treatment from their spouses, including physical abuse. Wynette was deeply offended by the suggestion, maintaining “the song doesn’t say anything at all about being a doormat.” In fact, Wynette had her own difficulties standing by her man. In 1965, the year she divorced her first husband, she met Don Chapel, whom she married two years later. As her star rose, Wynette developed a close friendship with her childhood idol, country star George Jones. After Wynette’s marriage to Chapel was annulled, she and Jones married in 1969. The couple worked together on a series of recordings, including the classic duets “We’re Going to Hold On” and “Near You.” Many of their collaborations seemed to chronicle their own stormy romance, also a favorite subject of tabloids and music industry gossip. As Wynette later assessed, “I was naggin’ and he was nippin’,” referring to Jones’s addiction to alcohol and cocaine. Wynette and Jones divorced in 1975, though they continued to record together for several more years. After a 44-day marriage to realtor Michael Tomlin and a brief affair with actor Burt Reynolds, Wynette finally settled down with George Richley, a singer-songwriter who became her manager. Married in 1978, the couple remained together until Wynette’s death. Beginning in the late 1970s, Wynette suffered a string of personal setbacks. In 1975, much of her house was destroyed by a fire. Three years later, she was kidnapped at a Nashville shopping mall and severely beaten. Her captor was never arrested. Wynette also found herself bankrupt in 1988 after investing her money in several unsuccessful real estate ventures in Florida. 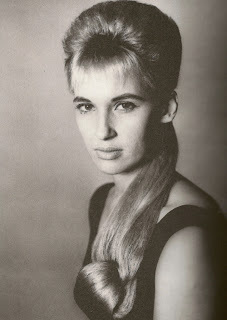 Worst of all, Wynette suffered from serious health problems. Chronic infiammation of her bile ducts led to 17 operations. In constant pain, Wynette began abusing prescription painkillers. She eventually had to enter the Betty Ford Clinic in Washington, D.C., for treatment for her addiction. Despite her ailments, Wynette continued to perform and record. In addition to recording duets with rock artists such as Sting and Elton John, she had a surprise international dance hit in 1992 with “Justified and Ancient,” which she performed with the British synth-pop band KLF. The next year, Wynette joined fellow country legends LORETTA LYNN and DOLLY PARTON on the successful album Honky Tonk Angels. She also reunited with Jones on the album One in 1995. 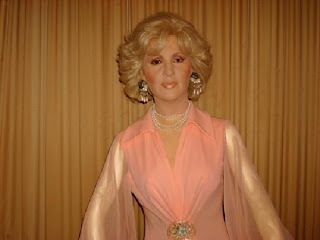 To the shock of her fans, Tammy Wynette died in her sleep on April 6, 1998, at the age of 55. A blood clot that reached her lungs was given as the cause of death, but three of her daughters in a lawsuit alleged that painkillers contributed to her demise. Just five months after her death, Wynette was inducted into the Country Music Hall of Fame. Recalls Her Mother’s Tragic Life and Death. New York: Putnam, 2000. Wynette, Tammy, with Joan Dew. Stand By Your Man. New York: Simon & Schuster, 1979. Honky Tonk Angels. Sony/Columbia, CD, 1993. Tammy Wynette in Concert (1986). Rhino, VHS, 1995. Tears of Fire: The 25th Anniversary Collection. Sony/Columbia, CD set, 1992.